Ssence acquires Polyvore, community reacts. Purchased from Oath Inc. a subsidiary of Verizon Communications, effective immediately, Polyvore will ultimately cease to exist and redirect users to ssense.com. 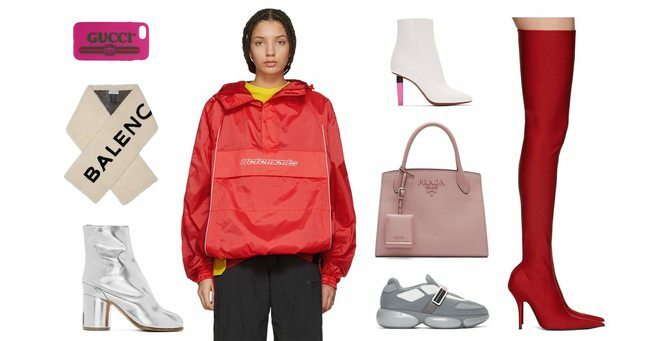 "We believe that Ssense is the right community for the Polyvore members, and we're inspired by their commitment to offering a directional mix of the most coveted labels in the world," the company wrote in a blog post. Still, Polyvore users don't seam to be too pleased with the news, leaving a slew of negative comments on the company’s Instagram announcement post on Thursday, as well as on Twitter. Nonetheless, the Polyvore community does have access to download their content from their profiles by May 10, 2018. Users will also have the opportunity to “opt out” so their personal data is not shared with Ssense. Founded in 2003, Montreal-based Ssense carries a mix of luxury, streetwear, and avant-garde labels like Off-White, Levi’s and Vetements. It currently serves 114 countries, generates an average of 53 million monthly page views, and has achievied high double digit annual growth since its inception. Polyvore was started in 2007. The platform allows users to mix-and-match fashion items, while creating collages, or virtual mood boards.